I can't help wishing the reform had lasted. I'd probably have had better results in my efforts to learn thai than I've had (so far) if the orthography weren't so frustrating (I _hate_ writing silent letters _and_ having to mark them as silent). Part of the fun and challenge of Thai is the strange spelling and unvoiced consonants but I agree with Michael Thai would be much easier to learn if they stuck with this simplified spelling. The same goes for English. To be clear, I love the spelling of thai words and the weird rules about consonant classes and syllable shape. That's fun (and learnable enough though kind of tricky). But the extreme etymological spelling of Indic and English loans is a royal pain. The 'retroflex' consonants and two extra indic 's' letters (and the voiced aspirated letters for that matter which aren't touched in this reform) are useless blights on an otherwise intricate but elegant system (IMHO). @Andy: Thanks for the link to your post. I hadn't known about the scans of the Royal Gazette before. 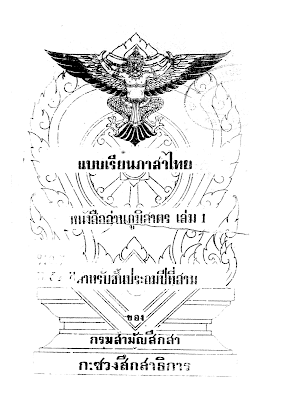 What a fantastic resource, and all in the public domain (being government documents). I was able to use these to pinpoint the beginning and end dates of this reform. It went into effect on May 29, 1942 (published in the Royal Gazette on June 1), and while I haven't found a formal announcement revoking it, the spelling reverts to the traditional system on December 12, 1944, four months after Marshal Phibun resigned the first time. 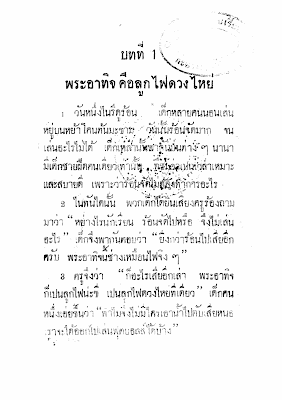 I have found a source which confirms the connection with the Japanese - it's in the guide brochure sold at the House of Museums, where as the explanation text for one photo it states that the Japanese urged the Thai government to make Japanese an official language, and the government took the wind out of the sails by simplifying the spelling instead. And after the Japanese occupation ended the reform was abandoned. Thanks for posting this Rikker. Don't really know what to say. Growing up learning Thai being spelt as it does now. I would imagine that the simplified form would be easier but as my brain is wired for current system. It takes a bit longer to actually read it in this form.